The Glycolix Elite line of cosmetically elegant skin care products were developed utilizing the latest in technologically advanced ingredients to deliver result-oriented formulations that provide optimum skin care benefits. These glycolic acid products contain the highest concentrations of Alpha Hydroxy Acid, vitamin C, vitamin A and Hydroquinone, available for home use without a doctors prescription. Glycolix Elite Facial Cream 10%, 1.6 oz. 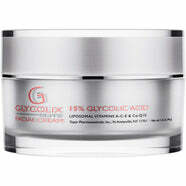 Glycolix Elite Facial Cream 15%, 1.6 oz. Glycolix Elite Facial Cream 20%, 1.6 oz. 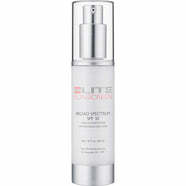 Elite Fortified Moisturizer, 1.6 oz. 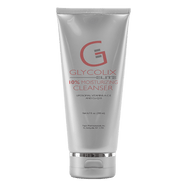 Glycolix Elite 10% Moisturizing Cleanser, 6.7 oz. Elite Facial Cream Ultra Lite, 1.6 oz. 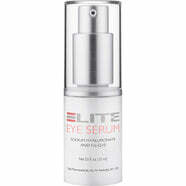 Elite Eye Serum, 0.5 oz. Glycolix Elite 15% Body Lotion, 6.7 oz. Elite Ultra Gentle Cleanser, 6.7 oz.